32.6 km over two stages left. Only thing to stop him claiming his first win is car problems - Citroen will want the one-two so I think Mads & Kris will be told to hold station. 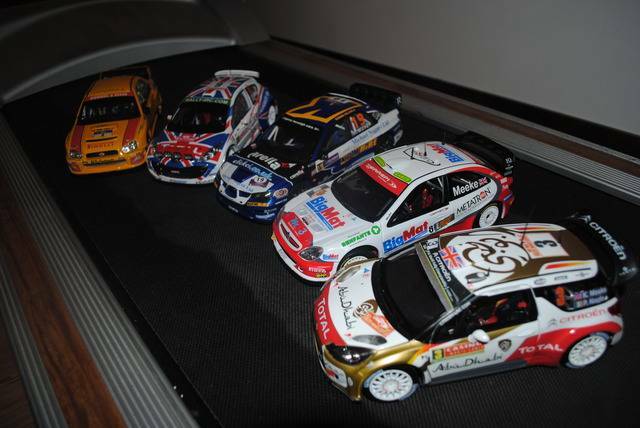 Hopefully Meeke will be on the top spot tomorrow - very few will begrudge him the win. Gulp, I can't bare to look. Fingers crossed. ss12,,,,,,,,,flicking from ewrc to wrc.com and back....cant handle it!!!!!!! both leaders now on stage!! this is all about holding to his horses and be more accurate to see that rallying is not about 110% speed but more staying on the road. for me this is a great win as was a very though and fast rally after 14 years of talented approach and support by the legend McRAE! at last!!!! well done kris!! im well chuffed for him!! Well done. A well deserved and long awaited win. Also to young Evans coming home 3rd. At long last! Superb result for Kris! Enniskillens Marshall Clarke Co-Driving to 7th Overall and 1st WRC2 Car!